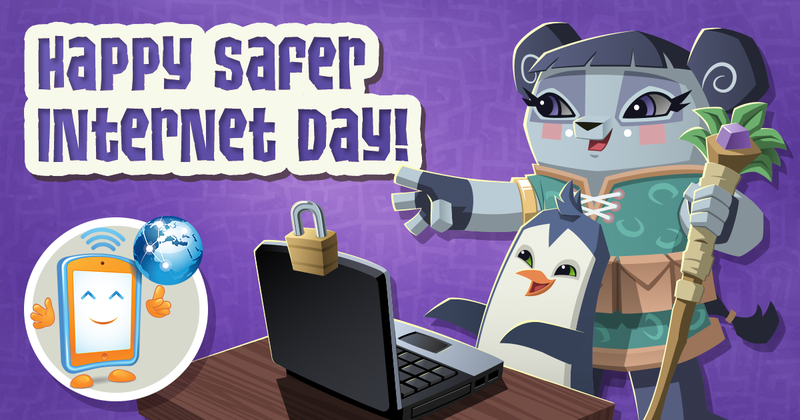 Animal Jam is proud to celebrate Safer Internet Day! Have you seen the cool banners located around Jamaa? You can click on them to learn tips and tricks to help you practice safety online! 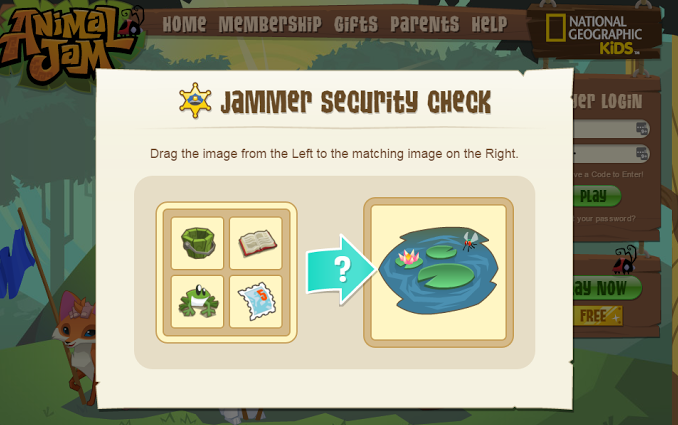 Do you have what it takes to click on all the banners scattered throughout Jamaa? As part of our effort to help you stay safe online, and keep your accounts secure, we have put together a video on internet safety. Also, be sure to check out the Internet Safety Quiz in the Conservation Museum in Appondale! Complete the quiz and earn a prize. Want to learn more about how to play safely online? Play Safe and Jam On! At AJHQ, we encourage Jammers to be creative and share their work, but we also want them to practice internet safety while doing so! 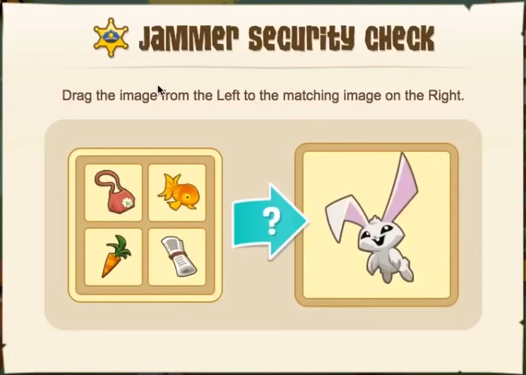 Did you know that sharing your social media channel name, in game, is considered Personal Identifying Information (PII) and against Animal Jam rules? At AJHQ, we are legally obligated to moderate sharing of Personal Identifying Information in game. Our filter blocks it, but if you try to dodge the filter, it can result in a disciplinary action on your account. Stay safe! Keep your personal information, your username and your password to yourself! If you see this window pop up while trying to login, you may be entering your password incorrectly. If this window appears simply drag the image that best matches the image on the right. In this case, you would drag the CARROT towards the BUNNY to log in to your account. If you fail to drag the correct image, you may get temporarily locked out of your account, so swipe accurately! Jammer Safety - Why do I have to pick an image to log in? Why do I have to pick an image to log in? 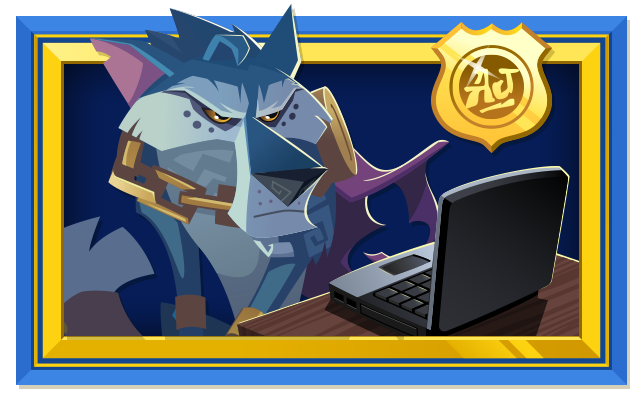 At Animal Jam, we utilize standard industry security measures to help protect your important information; therefore, we have initiated a new protective security measure. If you type in your password incorrectly too many times, you will need to prove you are human by selecting an image that matches the picture correctly. Once you have chosen the correct image, you will then be redirected back to the login screen to put in the correct password. If you still can't get in, get your parents help to reset your password. You can find out how by visiting the HELP DESK. What happens if I am locked out of my account after putting in my password incorrectly too many times? Please wait at least 10 minutes to start the process again and definitely think about resetting that password! We hope this helps... Jam on!